prove terrifying for a business owner such as yourself. Knowing what kind of technology to invest in is not the simplest endeavor, yet you don't want to be left in the dust if a new technology takes off and stays vibrant. Other forms of new tech can put your company at risk of additional external attacks, which requires you to boost cyber security. 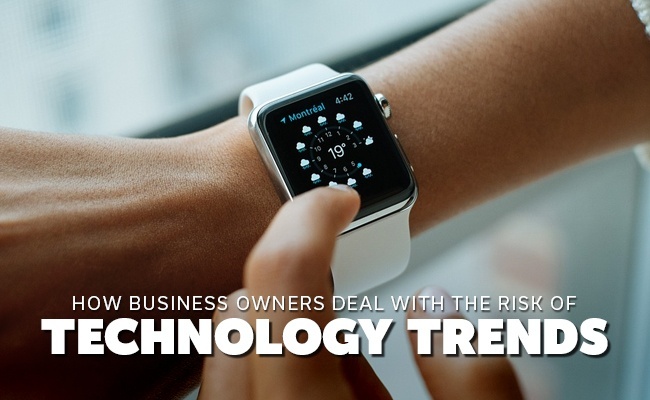 While you wonder what tech trends to adopt and what to avoid, here are how other business owners deal with not only new technology but the risk of early adaptation. Most new technology trends bring with it a level of risk and reward. Sometimes the possible reward can seem exceptional, should the technology pan out. However, as has been proven time and time again, trendy technology does not always work out well. Due to this, it is important to not look at the rewards but the risk. Should you adopt the technological trend, what kind of risk is your company taking on? It isn't always greater the risk, greater the reward in the world of technology adopting. You might deem a new tech to have a very low risk with a very high reward potential. Once you identify how the technology affects your business should it fail, you can then make an educated decision on if it is right for your company. security risk. It can open up holes in your firewall and cyber security, not to mention as a new technology there will not be as many safeguards in place. Your company's network security is only as strong as the weakest link, and there is a very real possibility this new technology may become the weakest link. So have a full and thorough understanding of the technology before moving forward with it. You can't secure and protect what you don't understand. Sometimes staying cautious is misinterpreted as fear. These are not interchangeable. You don't need to fear new technology. It isn't there to destroy you or to bring your company down. Ideally it is there to help boost company exposure while reaching new clients. Not all tech works out this way, but the purpose of most new tech trends is to help, not harm. Just stay cautious when considering the cyber security involved with utilizing the technology and take your time with looking into it. 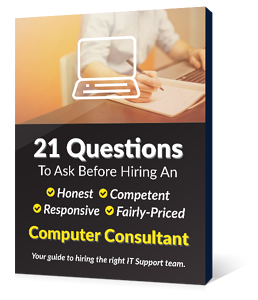 You and your company will be much better off if you are second in adopting the technology and right, instead of first in adopting the technology and wrong. Caution is a good thing. Utilization of new technology can put you in front of brand new customers. Just look at how social media has made it possible to connect with clients you may have never encountered previously. Other tech trends, however, have fallen flat and proved to be nothing more than a gimmick. While it is impossible to completely forecast what tech might stay and what might flounder, by following the leads of other successful businesses in regards to the risk of technology trends, you'll set yourself up for success. Just make sure to take the time to evaluate new technology, identify potential risks and weigh it against possible rewards .